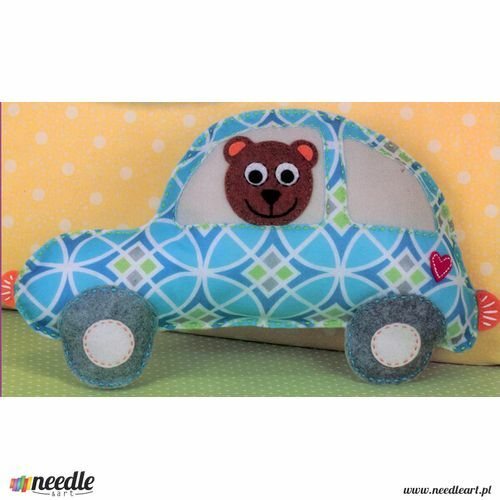 Here comes Happi Bear in his colorful car. 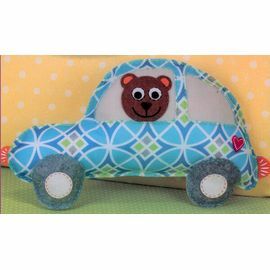 This felt applique pillow is perfect for a young boy and stitches up quickly. Finished Size: 17" x 9.5" (43 x 24 cm). Contains presorted cotton thread, printed polyester felt, needle, stuffing, and easy instructions.